This wild and interconnected web of canals is an aquatic fairyland, where gavilan trees stand sentry at the water’s edge, caiman snouts poke out of canals, tiger herons perch atop driftwood, and four species of endangered sea turtle travel thousands of miles every year to lay their eggs on the beaches where they once hatched. In this truly unique and special place, days are spent exploring motoring through amaretto-, emerald- and black-hued canals, and evenings are dedicated to watching returning sea turtles conclude their epic journeys. Turtle nesting (July-September) is the activity that gives the park its name and acclaim. Nesting beaches are best visited at night. Important: only visit with a reputable tour operator and qualified guides, and play close attention to their instructions to avoid disturbing nesting turtles. Boat tours through the canals, primarily for bird and wildlife watching. Cultural encounters with the Afro-Caribbean communities near the park entrance. Take a “coconut tour” for a taste of the local food and live music. Visits are guided due to the park’s strict ecosystem protections, so points of interest are largely determined by a lodge’s specific package. Almost all guests visit the town of Tortuguero, take boat tours down Tortuguero National Park’s canals, and visit the nesting beach at night (during nesting season, July-September). All-inclusive lodges. These lodges range from basic to upscale, and are scattered around the park’s canals, some as far as 45+ minutes from the town. The town of Tortuguero, located within the park, is very remote. You’ll find basic services here, but most travelers stay at the lodges. Tortuguero is 65,861 land acres and 124,255 marine acres in size--a combined total about the size of New York City. It was established in September 24, 1970. Since then its limits have been modified three times, in 1980, 1995 and 1998. 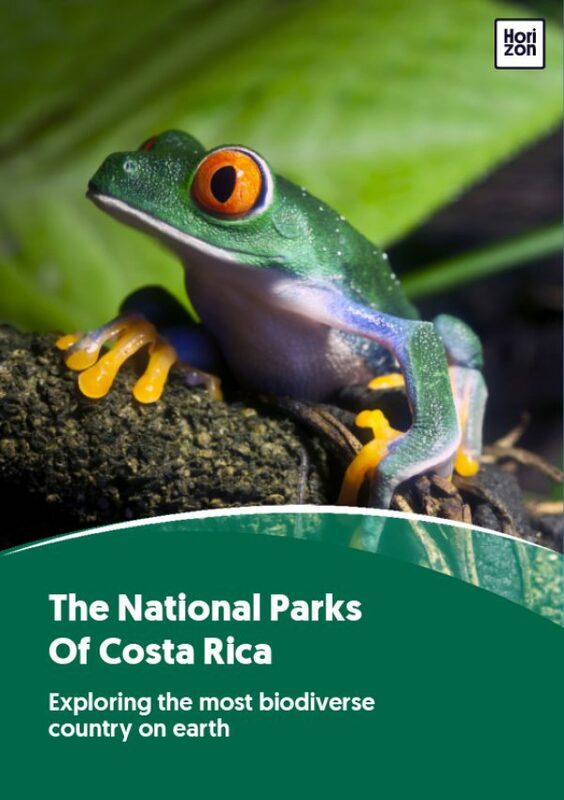 The park receives 57,658 annual visitors, making it the fifth-most visited national park in Costa Rica--an admirable feat considering the park’s remote location. Facilities include a pier, potable water, public restrooms, and a self-service information station. The town of Tortuguero, contained within the park, offers a full range of services, including lodging, food, transportation, phone and Internet. Independent travel to Tortuguero National Park is virtually impossible. Almost without exception, visitors travel on all-inclusive trips and guided tours. Trips typically include round-trip transportation, accommodation at the lodge, all meals, and activities. The only extras are evening turtle tours (an absolute must! ), spa services and additional guided excursions. Caño Palma, a 3.2-mile trail, accessed via Penitencia Lagoon and thick with dense vegetation and aquatic birds. The lone hiking trail, El Jaguar, is 1.6 miles long and is used only during turtle season. During nesting and hatching season, evidence is common along this trail. Tortuguero National Park takes its turtle protections very seriously and there are many more restrictions here than at most other national parks. All beaches are restricted (you can only visit with a park ranger/official guide) from March 1-October 31. Fishing is not allowed. The park schedule is very strict, and you will be expected to stay on trails, and follow other regulations. This is a very, very rainy area, seeing 175-235 inches of annual rainfall. Temperatures range from 20-32 C (69-90 F), and it is often very humid. The dry season lasts from December-May, and the green season from June-November. Peak turtle nesting takes place July-September, and this is high season at the park. That said, the park’s landscapes are beautiful year-round, and birdwatching is excellent throughout the year. Tortuguero National Park is a network of islands and canals, adjacent to the Caribbean Sea. On land, the ecosystem is mostly primary rainforest, with sections of secondary forest. Tortuguero is a globally important nesting ground for sea turtles. Every year, from July through September, four species of marine turtles (leatherback, hawksbill, loggerhead and green sea turtles) return to their own hatching beaches to nest at Tortuguero National Park. Additionally, 442+ species of aquatic birds (including great green macaws, crested guans, northern jacanas, collared aracari toucans, mandibled toucans, and tiger, green, and boat-billed herons) live at Tortuguero National Park. Land sightings may include any of 138 mammals, such as tapirs, monkeys, peccaries, and the not-oft-sighted jaguar, while the once-prevalent manatees have become almost impossible to sight below the water’s surface. Keep an eye out for the 58 amphibian species, and 460 arthropod species on record. Tortuguero is very remote; accessible only by boat and plane. There’s nothing much around the park aside from its numerous lodges. To get there, travel 71 miles by road from San José to La Pavona. The park is an additional 10-15 miles by boat from La Pavona. Most visitors arrive on a tour that includes transportation from San José. Much less commonly, you can arrive via private transfer/bus to La Pavona, taking a one-hour boat ride to Tortuguero National Park. The airport landing strip is located north of town; daily flights into Tortuguero are available via Nature Air and Sansa. Entrance cost: $15 adults, $5 children; Note that entrance to Tortuguero National Park is different from most, as you’ll more than likely motor in by boat. Park rangers often stop boats for payment (you’ll be given a receipt. Keep it on you, to prove it’s already been paid), and only accept bills “in good condition.” Exact change is a good idea, although mobile credit card payments (via dataphone) are becoming common.